Scheduled to begin production this February, Nissan has just introduced a new model for its 2019 Nissan Pathfinder lineup, called the Rock Creek Edition! The Rock Creek Edition will come in two trim levels – SV and SL. All-Wheel-Drive will come standard, and buyers will also be able to choose from four exterior colors – including Midnight-Pine, which is exclusive to the Rock Creek Edition! Inside, the Rock Creek Edition will offer Premium Metallic Interior Trim, and Rock Creek Edition Two-Tone Seating, with High Contrast Stitching (on the Seats, Doors, Console Lid and Steering Wheel). Also included will be All-Season Floor Mats! The exterior will also offer black-finished exterior pieces including, Black 18-Inch Wheels, a Black Mesh Grille, Black Roof Rails, Black Door Handles, and Black Outside Mirrors. In addition, the Rock Creek Edition will include Unique Badging on the Front Doors! 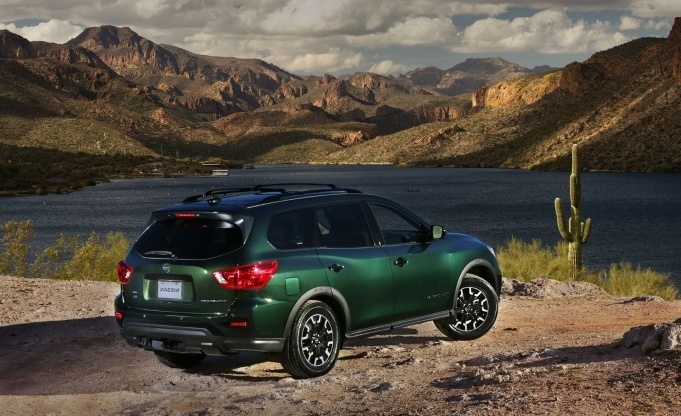 A Trailer Hitch and Harness will also come standard, which allows this Pathfinder to tow up to 6,000 pounds! 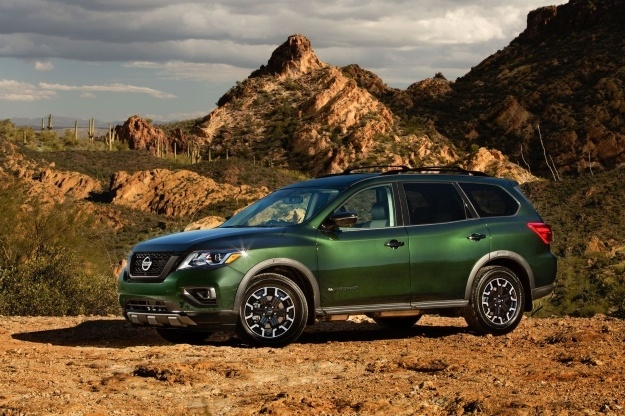 All 2019 Pathfinder models come equipped with 284-Horsepower, a 3.5-Liter V6 Engine, and a Continuously Variable Transmission (CVT). Also coming standard is an amazing Suite of Driver Assist Technologies, including Intelligent Emergency Braking, Vehicle Dynamic Control, a Traction Control System, a Vehicle Security System, and a Tire Pressure Monitoring System. Also available is the Intelligent Around View Monitor, the Bose 13-Speaker Premium Audio System, Dual Panorama Moonroof, Motion-Activated Liftgate, and NissanConnect with Navigation! If you would like to step into a new 2019 Pathfinder, then please feel free to browse our 2019 Pathfinder Online Inventory or stop by our dealership!